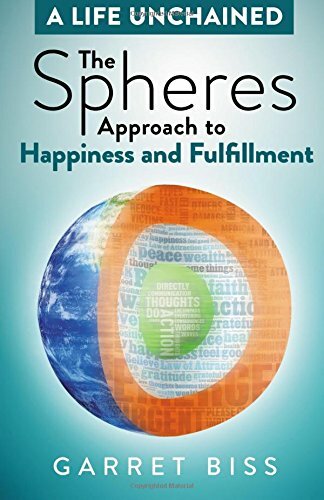 A profoundly simple approach that reveals greater happiness and fulfillment. Award-winning author, Garret Biss, shares remarkable insight about the source of stress and unhappiness in our lives. A 15-year study of personal growth and success led Biss to the revolutionary life approach he shares - one that is certain to help you reveal a happier, more productive and more fulfilled version of you! In this book, you will discover: · Seven tools that reveal the positive in every event you face · One technique to regain hours of lost time and energy each day · How to invest your time and energy in what matters most · One thing that will improve every relationship you have · How to drastically improve your impact on the world · Five things you worry about that happy people don't · One simple technique that allows you to enjoy everyone more · A quick way to dissolve the remorse or regret you hold SPECIAL BONUSES: Easy-to-take quizzes to help you master your spheres, and optional assignments to help you achieve your happiest life. BUY THIS BOOK NOW to break free from the stress holding you back and discover the happier, more fulfilled, version of you!